Making sure your home or business is complying with all fire code regulations is important. While many may see Fire Code Regulations as a long-drawn process or unnecessary, they are strictly put in place to help prevent damage and provide comfort and peace of mind to occupants, building or business owners. Most inspections are carried out annually by your local Fire Department who will assess any potential fire and life safety hazards in buildings; you will then be provided with a written report of any necessary corrections. These Fire Code Regulations, through the NFPA 101 and Intl. Fire Code, are standards that were created through a consensus process, which are promulgated by groups made up of representatives, such as system installers, special experts, and code officials, with both fire Code Regulations and standards revised every 3 years. Fire Code and Safety Regulations are put in place not only to help the business or building owners but they also provide greater protection for employees or occupants such as a safer working and living environment, with the knowledge that you are protected. It also provides a greater sense of security for smaller businesses and its employees – up to 80% of these do not recover after a large fire. This not only results in a huge bill for repairs, but the loss of jobs, and in the case of a prolonged closure can also hugely impact the return of your customer base. 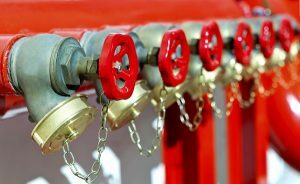 The pros outweigh the cons if your building/business regularly meets these Fire Code Regulations, such as improved resale value and a reduction in insurance premiums as many insurance carriers give businesses premium reductions for maintained and properly installed fire-protection systems. The less you are prepared for or familiar with Fire Code Regulations, the more timely and hazardous you can find the process. Updating yourself with such knowledge is necessary as these inspections are done annually, and may not be scheduled. If you do find yourself unprepared or inconvenienced, it is possible to ask your Fire Code Inspector to reschedule the inspection. Make yourself familiar with your system or equipment inspection, testing and maintenance reports, otherwise known as ITM reports, as you and your fire inspector will review these before any inspection so you have a chance to note any possible issues that have been corrected. Making sure all Fire Exits are clearly marked and accessible, making sure all of your heat-producing appliances or machinery are properly maintained by authorized personnel are just a few examples of what can lead you to make sure you are up to date with all Fire Code Regulations. Maintain Your Fire Alarm System With Anderson Fire Protection Inc. Who Is A Farenhyt Select Distributor For Silent Knight by Honeywell. No matter what your needs are, Anderson Fire Protection, Inc. is here to design, service, maintain, and install a fire protection system that will work for your residential or commercial space. With more than 26 years of experience, Anderson Fire Protection, Inc. is able to offer you experience and reliable customer support. For more information on working with Anderson Fire Protection Inc., call us today at 410-796-4915 or click here for more information. This entry was posted on Friday, June 2nd, 2017 at 8:58 am. Both comments and pings are currently closed.